Patrick has over 30 years of sales and marketing experience, including roles as President and VP Business Development for national firms. He has a successful track record in leading organizations through the development and implementation of strategy and tactics that have grown both top line revenue and bottom line profits. As a sales person and sales leader, Patrick developed significant experience in strategic selling, negotiation and key account management processes with large Fortune 500 firms. He has developed business with organizations such as General Motors, Ford, Amazon.com, Molson-Coors and Sobeys by creating compelling value propositions, resulting in business awards in excess of $250 million. As a sales trainer and consultant, his understanding of the complex sales process, building strategic partnerships, and negotiating win-win agreements have helped hundreds of senior sales representatives, across a wide range of industries, evolve their relationships with key accounts to the next level. Patrick achieved his Certified Sales Professional designation through the Canadian Professional Sales Association (CPSA) with distinction, and serves on their Public Faculty. He facilitates Professional Selling; Strategic Account Management; Professional Sales Management; Sales Coaching for Success and Effective Negotiating Strategies on behalf of the CPSA in both public and corporate in-house training sessions. Patrick is a business graduate of Wilfrid Laurier University, and also holds professional designations from the Canadian Professional Logistics Institute (PLog), and the Canadian Institute of Traffic & Transportation (CCLP). He currently serves as an Executive in Residence for the Ivey Business School at the University of Western Ontario, as well as on the Advisory Board for the McMaster Institute for Transportation and Logistics. 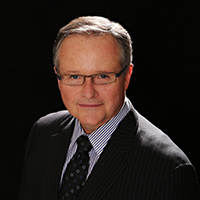 He has previously served as a Board Member for Sheridan College, the Ontario Chamber of Commerce and Supply Chain & Logistics Canada. He has lectured at the college level, and has presented to a wide variety of groups including the Conference Board of Canada, York University MBA Program, Queens Executive Development Program and the Supply Chain Management Association of Canada. Patrick Cain is an associate sales performance coach with Base Over Apex.